For Trillium II, it was very valuable experience to be allowed to take part in and observe the EU MODEX (Module Exercises part of the EU Civil Protection Mechanism) medical disaster exercise in Estonia last week. There are many situations in which the International Patient Summary can useful for healthcare staff, incl. medical emergencies. Extended deadline for Trillium II Prize! The deadline for taking part in the Trillium II Prize competition for best planned use, integration and promotion of the HL7 FHIR International Patient Summary (IPS) for medical information exchange is extended to May 15, 2019! We are especially keen for Small to Medium Enterprises (SMEs) and not-for-profits to apply, although any health organisation, other than members of the Trillium II consortium, can enter the competition. Partnerships may also enter, though only if one organisation in the partnership accepts lead role. 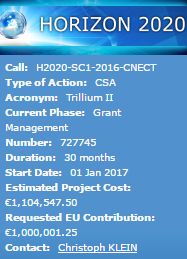 The H2020 Trillium II project builds on previous recommendations to put IPS standards at the core of a global community for digital health innovation with the aim of advancing patient safety and trust by bridging the gap between strategic intent and capability to deliver interoperability at a global scale. Collaborating with other initiatives or projects with a shared ambition is important to Trillium II’s work. Therefore, we had together with the MOCHA project a joint workshop on ‘Strengthening children’s immunisation in Europe through health data standards: Connecting Patient Summaries to EU vaccination cards, Immunisation Registries, EHRs, and Home-Based Records’, which was kindly supported by WHO at the UN City in Copenhagen, Denmark. The workshop discussions and outcomes are compiled in a public report, which you can read here. Trillium II is offering a Prize for innovative use of the FHIR international patient summary (IPS) by health companies. The Trillium II Prize is awarded to the organisation that, in the opinion of the panel of judges, has the best proposal to use, integrate and promote the beneficial use of the FHIR IPS for international medical information exchanges. Registration is still open through April 2019. For more information, visit the Trillium II Prize site here. Trillium II joined forces with the C3Cloud and FrailSafe projects and partners TicSalut, Lombardia Informatica, HL7, SPMS (MySNS), SRDC (C3Cloud), Gnomon (eHealthPass), and GroupoSigna (FrailSafe) to demonstrate in practise the value of the International Patient Summary at the Portugal eHealth Summit 2019 with the extraordinary support of Trillium II partner, SPMS. The Digital Health & Wellness Summit @ 4YFN Mobile World Congress 2019 has ended successfully. You can see here the presentations and highlights from the event. International Patient Summary was featured in a session on ’Digital Health Innovation in Maternal and Child Care’. See the presentation here. Trillium II is delighted that it has signed a collaboration agreement with the C3-Cloud project (http://c3-cloud.eu). Trillium II and C3-Cloud participated jointly in the EU Modex exercise in Romania last year and are now planning joint demonstrations of using Patient Summaries to develop care plans for chronic disease at the Portugal eHealth Summit, Lisbon (20-21 March, 2019) and IHE Connectathon (8-11 April, 2019) in Rennes, France. World Economic Forum has officially launched Value in Healthcare report “Accelerating the Pace of Health System Transformation” with an overview of a Global Roadmap for Health Informatics Standardization and mentions Trillium-II and HL7 FHIR IPS. 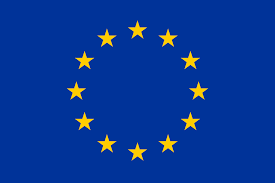 Trillium II has a large consortium from all over Europe and the US. See all partners here.